Happy Halloween, Tappers. How’s the weather in your neck of the woods? All’s peachy here so far, so I managed to sneak out today to see the movie based on one of my favorite video games of all time. That’s right: Silent Hill 3 was made into a movie, which is technically Silent Hill 2, but the movie is based on 3, and not 2. Got that? I am going to review that film, which is called Silent Hill: Revelation 3D (but which I did not see in 3D) below the jump, in a manner that contains lots of bulleted lists, and lots of spoilers! But don’t worry too much: if you know the story of Silent Hill 3, you already know the story of Silent Hill: Revelation. Would you really want Silent Hill 2 as a movie? Isn’t it already perfect as a game? Wasn’t the ill-advised HD Remix version punishment enough? The first movie was (sort of) the story of the first game, and Silent Hill 2 as a game is a standalone story, so it makes sense to continue with the established film universe story rather than starting a new one. SH3 is better anyway. For real. The truly insane “Hard Puzzle Mode,” that requires ridiculously counter-intuitive poetry-based and mathematical problems. Heather Mason is a cool protagonist. She’s a teenage girl, which is perfect for a horror title, but she feels like a fully realized character rather than a helpless damsel. She gets into a lot of scary situations, but she deals with them and comes out stronger for the experience. Her backstory, as confusing as it is, makes her a character with really interesting beats to follow and it’s fun to watch her develop and change over the course of her game. Basically what I went out to see here was the Heather Mason movie starring Heather Mason. In that sense I was not too disappointed. 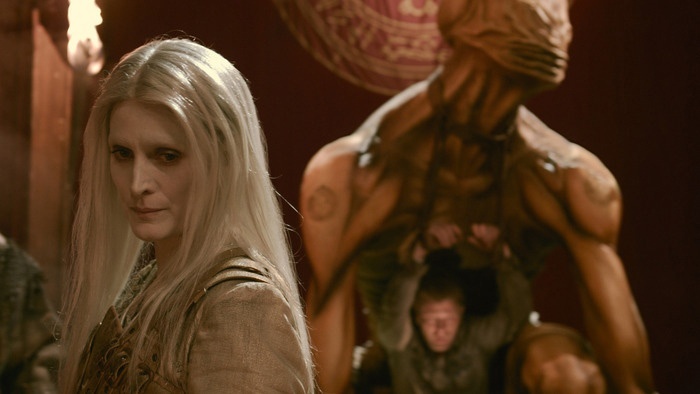 Silent Hill: Revelation 3D is an earnest adaptation with a terrible title. It may very well be the most accurate video game-t0-movie adaptation ever made. (Believe me; I have seen many.) Shot for shot, this film is Silent Hill 3, condensed into 90 minutes. I know this because I have beaten Silent Hill 3 three times. Still, it doesn’t quite work. The movie is like an eager cat: killing a baby rabbit, chewing off its head, and placing it directly on my pillow before coughing up a fanservice hairball right on top of it. It’s disgusting but kind of adorable and you know it was trying. Spooky Amusement Park Dream Sequence Opening. Robbie the Rabbit. They hit that one hard and right away. Heather’s Real Name Isn’t Heather. It’s made clear really early on that she’s the now grown “Sharon” from the first movie (Cheryl from the game). The film expounds on this by having her say she’s had a few other identities too, though this wasn’t a thing in the game. Heather’s roots are showing! Because she bleached and chopped her dark hair. Harry Mason. Sean Bean’s character is in the movie continued from the first movie, only now he’s called Harry, and not Christopher. That’s because he also changed his name, which makes sense and manages to tie this to the first film while also putting it closer to the game. Pretty nice, actually, considering what they had to work with. Heather has terrible visions that interfere with her life. Douglas. I was actually surprised to see him! He doesn’t show up in the previews. Unlike in the game, however, he dies fairly early on. More on this later. Happy Birthday, Heather! This shows up in a different part of the movie than it does in the game: really early on, and as a repeated motif. It’s a little hamfisted. Heather hiding in a utility room that looks exactly like the mall utility room from the game, oh my goodness. Akira Yamaoka. 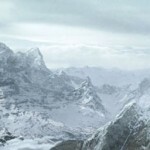 As in the first film, the soundtrack from the movie is basically identical to the soundtrack in the game. A mannequin studio. This has no reason at all to exist in the film. It’s there because it’s there in the game. That’s all I could figure out. One (1) naked breast, upping the rating to R as necessary for any serious horror film. It’s not Heather’s breast. Leonard Wolf. This basically goes down in the same way as in the game. It’s complete with Heather having to consult a map that is the map from the game in order to find the room Leonard is in in the hospital that is also in the game. Claudia Wolf. Here, an underutilized Carrie-Ann Moss. The sanctuary of the evil cult is under the amusement park. Just roll with this. A showdown on the park carousel between Heather and Alessa. A truly goddamn iconic boss fight. Extended sequence in the subway tunnels. Fighting a boss based on a worm going in and out of said tunnels, which totally doesn’t symbolize anything, at all. Arranging Shakespeare books on a bookshelf and other incredibly fiddly puzzle sequences. Heather giving up smoking. Because of the time compression necessary to smash a game story into a movie story, a lot of the little environmental touches that explained Heather’s personality are not in the film. Of these, my favorite detail in the game was where she asides about sneaking smokes, but has totally given that up now. It’s sort of relatable teenage behavior. This film might actually mark the first time a character has been more of a blank slate in a movie than in the video game that movie was based on. The Mirror Scene in the hospital. Genuinely sad this was missing. Scariest thing in the game! “Letter To My Future Self” and other songs ostensibly sung by Heather on the OST. I’m kind of missing these too. I liked them. Heather getting a magic wand and turning into Sailor Moon, then shooting eye lasers at the bad guys. 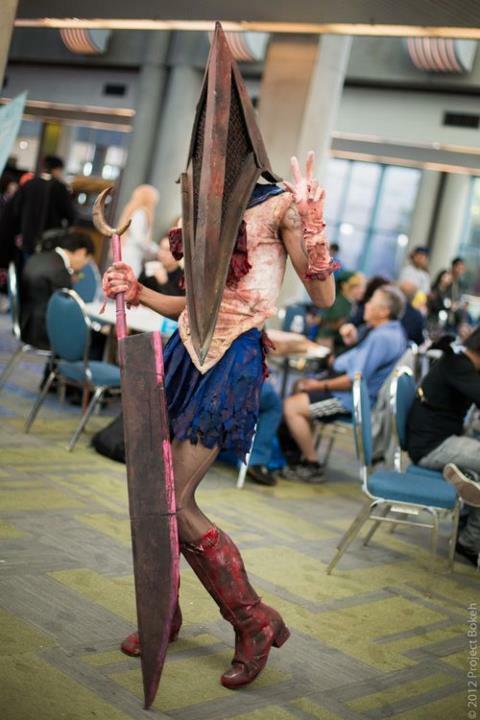 Pyramid Head. 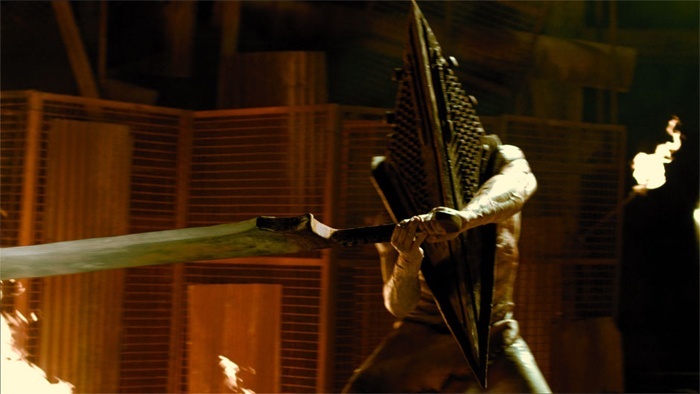 Pyramid Head was great in Silent Hill 2, the game. He makes an acceptable punchline to certain jokes outside of that context. Otherwise, he should be completely avoided, as any time after Silent Hill 2 that he’s shown up in anything he’s been pretty terrible. In this case, they give Pyramid Head the part that should be played by Valtiel, who is a totally different demon character. This makes sense from a Hollywood standpoint if just to save on visual design and use a more iconic creature. (Valtiel isn’t especially interesting to look at compared to Pyramid Head.) But it needlessly confuses Pyramid Head’s part in the story, when he appears and is suddenly helping Heather do things for some reason. A flashback sequence to tie this movie to the first movie. I guess it bridges the gap if one was only familiar with the movies. But it’s a bit hamfisted. And if one was only familiar with the movies, I doubt the story of this movie would make much sense anyway. Facebook. Heather is a teenager, but since she’s living under an assumed identity, she doesn’t use Facebook. This is makes perfect sense. In the real world, it would be a little weird for a modern teenager not to use Facebook. But instead of just not bothering to mention this detail, the film goes out of its way to have Heather give a speech to her high school class about how she’s not on Facebook. “They look like monsters to you?” This is Vincent’s iconic line in the game. In the game, the character’s main job is to portray Heather as an unreliable narrator. He tries to tempt her to work with the evil cult and embrace their way of living. Along the way he hints that Heather’s hallucinations about her life may be worse than she thought, and she might have accidentally been firing her weapons at innocent people the entire time. In the game, this is a masterful mindscrew. This is because it happens near the very end of the game, after you’re pretty certain to have killed a shitload of monsters. This is also sort of in the movie. Except it happens much earlier on, where movie-Vincent is talking about how dreams might be like reality, or maybe they’re just another layer of reality, or a lot of forgettable stuff like that that isn’t very good. More on Vincent. Much like with the Pyramid Head decision, it makes Hollywood-style sense to cast a younger character in the role of someone who helps Heather, so that that character has love interest potential. As a result, the film kills the Douglas character earlier on, then gives some of Douglas’s beats to Vincent. But this makes the Vincent character wildly inconsistent, since he also retains some of his original beats. So in one breath he’s telling Heather she should go to Silent Hill where in the next breath he’s begging Heather to definitely not go to Silent Hill. Travis Grady. Did you want Travis Grady to be in this movie? He is! For no reason! Downpour. The final shot of the film shows a convoy of prisoners being escorted into Silent Hill. Pure, raw fanservice without purpose, since a general audience would probably have no idea why this was lingered on or why it was important. People sure do dress in layers in this movie! Early on, Harry presents to Heather the vest she wears in the game. (This is odd already because it’s not as if her vest needed an origin story. It kind of feels in the movie like Harry is gifting this girl with a Heather Mason Cosplay Kit.) She then proceeds to wear the vest: over a sweater, which is over a tank top, which is over another tank top. Then she puts on a coat. Then she puts on a flannel over that. Yes, she’s supposed to look poor and bedraggled, but this is some serious homeless vagrant stuff. Later on, when she loses the coat, Vincent offers her his. Underneath his jacket, he’s wearing … another jacket. Underneath that he’s wearing a button-up shirt and then a vest and then another shirt. Perhaps I do not understand modern fashion. Carrie-Ann Moss, meanwhile, just looks like no one told her her character wasn’t supposed to be a ghost. Instead of the Split Worm, there’s a boss monster in this movie that’s unique to it: a sort of spider-like thing made from parts of mannequins. Spiders are scary, and mannequins are scary, but this thing wasn’t scary. Mostly I think because of the animation, which just seemed too fake for it to work. To be fair, the movie was not scary. It focused too much on showing things. To be properly scary, you have to not be afraid to not show things. The ending is changed. Which I expected, because, even in a film that’s otherwise R-rated and gore-filled, you can’t end the story with an abortion. What they changed the ending to instead, however, surprised me: a slugfest between a mutated Claudia Wolf and the Pyramid Head. It was kind of wacky! They showed the “game sack” commercial before the movie. Thanks! God, movie theater, it’s like you KNEW. So: should you see this movie? If you’re a ridiculously obsessed Silent Hill fan like myself, do see it. You’ll get a kick out of just how accurate it is while being at the same time not as good as the source material (and in fact making the source material feel tainted by association). If you have never played a Silent Hill game, it’s not much of a horror film. I would be curious to see how much of the story made sense to you, though, since I know for a fact it would not have made sense to me unless I had gone in already knowing it as well as I do. Hey! I said Spoilers! Heh. Yes it’s just a fannish perspective. Nothing else, really. Gah, I’m yet to play any of the Silent Hills (so haven’t read the article), I only want to play the first two and possibly Shattered Memories on the Wii. My eyes aren’t too bothered by the Greystation Crust of yesteryear but it’s just finding time for them.